This great collection of mindful quotes will not only inspire you, they will also help you to come to a better understanding of how to practice mindfulness. You can find even more great meditation quotes here. Take some time to really contemplate some of these mindful quotes so that you might better understand the art of mindful living. Perhaps you might like to just select one or two of your favourite quotes - the one's that strike a chord with you personally, and then just let their meaning circulate in your mind over the next day or two. 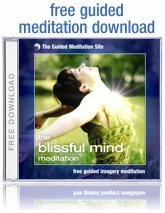 You can find even more quotes about mindfulness and meditation here. Two thoughts cannot coexist at the same time: if the clear light of mindfulness is present, there is no room for mental twilight. Observe the space between your thoughts, then observe the observer. The practice of mindfulness begins in the small, remote cave of your unconscious mind and blossoms with the sunlight of your conscious life, reaching far beyond the people and places you can see. Some people do not know the difference between mindfulness and concentration. They concentrate on what they're doing, thinking that is being mindful. . . . We can concentrate on what we are doing, but if we are not mindful at the same time, with the ability to reflect on the moment, then if somebody interferes with our concentration, we may blow up, get carried away by anger at being frustrated. If we are mindful, we are aware of the tendency to first concentrate and then to feel anger when something interferes with that concentration. With mindfulness we can concentrate when it is appropriate to do so and not concentrate when it is appropriate not to do so. The habit of ignoring our present moments in favor of others yet to come leads directly to a pervasive lack of awareness of the web of life in which we are embedded. This includes a lack of awareness and understanding of our own mind and how it influences our perceptions and our actions. It severely limits our perspective on what it means to be a person and how we are connected to each other and the world around us. Religion has traditionally been the domain of such fundamental inquiries within a spiritual framework, but mindfulness has little to do with religion, except in the most fundamental meaning of the word, as an attempt to appreciate the deep mystery of being alive and to acknowledge being vitally connected to all that exists. Our suffering stems from ignorance. We react because we do not know what we are doing, because we do not know the reality of ourselves. The mind spends most of the time lost in fantasies and illusions, reliving pleasant or unpleasant experiences and anticipating the future with eagerness or fear. While lost in such cravings or aversions, we are unaware of what is happening now, what we are doing now. Yet surely this moment, now, is the most important for us. We cannot live in the past; it is gone. Nor can we live in the future; it is forever beyond our grasp. We can live only in the present. If we are unaware of our present actions, we are condemned to repeating the mistakes of the past and can never succeed in attaining our dreams for the future. But if we can develop the ability to be aware of the present moment, we can use the past as a guide for ordering our actions in the future, so that we may attain our goal. The range of what we think and do is limited by what we fail to notice. And because we fail to notice that we fail to notice there is nothing we can do to change until we notice how failing to noticeshapes our thoughts and deeds. People will do anything, no matter how absurd, to avoid facing their own soul. As long as we have practiced neither concentration nor mindfulness, the ego takes itself for granted and remains its usual normal size, as big as the people around one will allow. I trust that you enjoyed these mindful quotes. CLICK HERE for even more great mindful quotes, or follow the links at the bottom of the page to learn more about mindfulness.